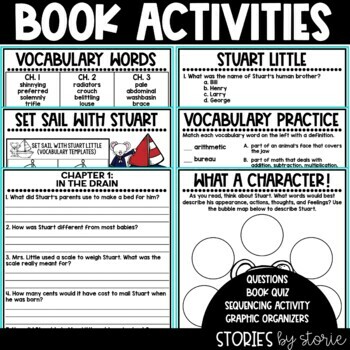 Stuart Little is written for students reading at a 3rd or 4th grade reading level. It can be a great read aloud for 2nd grade students, too! 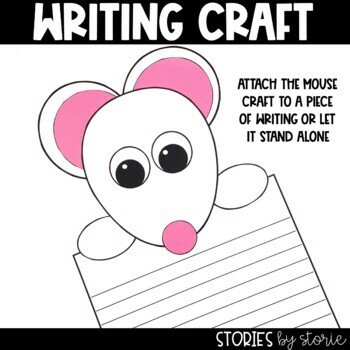 This pack contains comprehension questions, vocabulary practice, graphic organizers, and a mouse craft to go with the story. 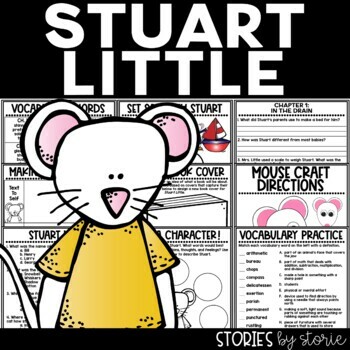 Book Summary: Stuart Little is no ordinary mouse. Born to a family of humans, he lives in New York City with his parents, his older brother George, and Snowbell the cat. Though he's shy and thoughtful, he's also a true lover of adventure. Stuart's greatest adventure comes when his best friend, a beautiful little bird named Margalo, disappears from her nest. Determined to track her down, Stuart ventures away from home for the very first time in his life. He finds adventure aplenty. But will he find his friend? 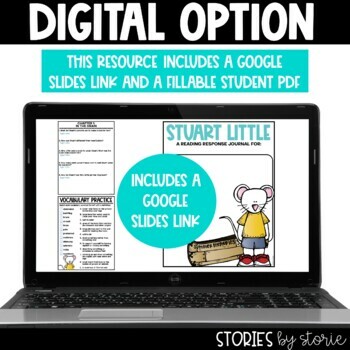 You can read about how I use this book companion in my classroom here.